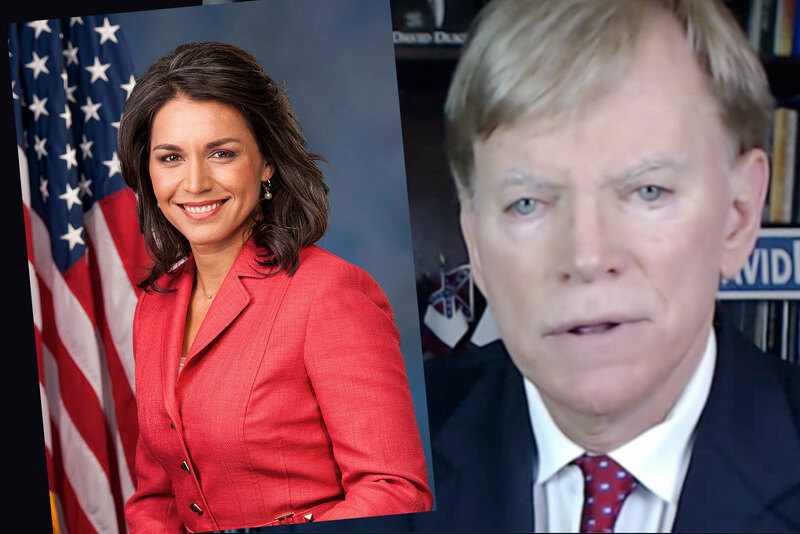 Congresswoman and presidential candidate Tulsi Gabbard (D-Hawaii) has won the endorsement of former KKK leader David Duke. Wait, what? A "Tulsi Gabbard for President" banner features the banner tagline, "Finally a candidate who will actually put America First rather than Israel First!" Duke also endorsed Donald Trump during the 2016 presidential election. Though Gabbard does have some reactionary credentials (she's a notorious homophobe, among other things), Duke's probably trolling as she's otherwise a moderate who hasn't taken aim at Israel or its policies.